Imagine a balloon that is empty. When the balloon gets inflated with air, it begins to get bigger and bigger. If you don’t let out the air, it will explode. Without any air, it lacks a certain “balloon-ness.” This is a great example of how our emotions are necessary but also require calibration. Too little and we feel lethargic, apatehtic, and depressed. Too much and we feel overwhelmed, stressed out, and ready to explode! Our “emotional balloon” equates to emotional storage so it is important to learn how to reduce stress and manage what is taking up space in our lives. Some people know how to release the air over time to prevent the balloon from overflowing and popping. 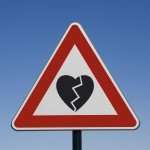 These people emote to friends, family, and their partner when things bother them and use communication and other healthy outlets as methods to reduce stress. Other people will continue to put their emotions into this balloon and it will fill up and occasionally pop. These people might be afraid to appear vulnerable or just not know exactly how to express the way they are feeling when something comes up. When your emotional balloon pops, so to speak, it can come out in many ways. Emotional outbursts can manifest as crying, anger/violence, irritability, headaches, changes in sleep, reactivity, anxiety, and much more. Each person is different, so the way that your emotions spring up can be very different from your partner’s, or even your family. Communicate your stress level and how you can be supported. Even if you are not mad at a particular person and you feel like you are simply overwhelmed by responsibilities or circumstances, it is important to let people in to what is going on! A good vent session may let at least a little air out of your maxed out balloon. Letting others know what is going on in your emotional world can be vulnerable, but it is essential if you want those you care about to be able to understand and empathize. It doesn’t have to be incredibly complicated, either. Articulate what you need in the conversation as well. If you’re not looking for input but just a vent session, say so! “Hey, I just need to vent for a bit; I’m not looking for advice or anything but I need to let off some steam.” This can provide relief from the feeling that you will be judged or someone will add something to your exhausting list. Then share what’s happening: “Things at work have been overloading me lately and I just feel like I’m not getting enough done or if something is done, it’s the wrong way. Mostly, I am maxed out.” If there is another way they can support you (in addition to the vent sesh), particularly if they are your partner, include that as well: “It would help me out if you could [take over dinners/pick up the kids/rub my shoulders/run this errand].” Make sure to thank your listener for tuning in and caring about you! Delegate. Even if you are single, not everything has to be your responsibility. Maybe you need to say “no” to a few social engagements or extra projects. You control the pace of your life by how much you let on to your to do list so start clearing it off by assigning things to others. That may mean re-working your budget to hire a dog walker or house-cleaner or trying a grocery delivery service. Write. Writing can be therapeutic and help reduce stress, so start keeping a journal as a way to let off some steam. Pen and paper is ideal because it requires you to slow down and process plus it brings into play the calming effects of cross-lateral movement. However, anything helps. Get some of the negativity or confusion out, whether that is writing or typing or even voice recording. Maybe today’s stress is next month’s blog post or next year’s book — vent and re-purpose. Win, win. Get real. You can’t do it all and you’re fooling yourself if you think you can. There are certainly seasons of life where we have to be “on” for awhile but those times should come with a deadline, not only for your mental sanity but also for your physical health. Prolonged seasons of stress seriously alter your body and brain chemistry so utilize the above tips to reduce stress as quickly as possible to support your health. Finally, give yourself a break! If you want to reduce stress, you probably need to take a step back. Take a nap. Take a bath. Take a walk. Give yourself some breathing room to gather yourself before diving into another round of to-dos. Sometimes a little space is what we need to bring clarity. If you find yourself still drowning in overload or your anxiety can’t be managed, bring in some outside help! 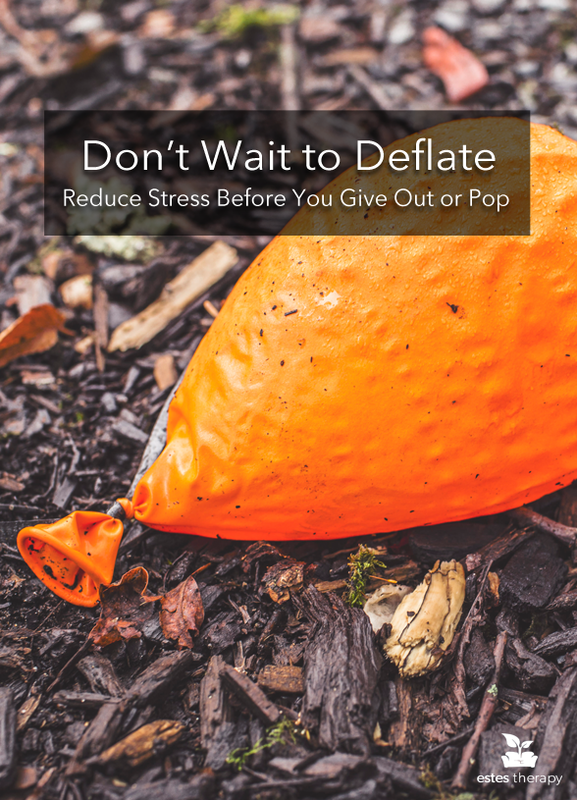 Call us today and book an individual counseling session so we can help relieve some of the emotional pressure before you pop! 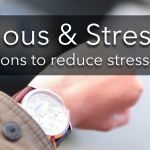 For more ways to reduce stress, check out this article, too.